Don't replicate a Montessori classroom at home. It would be easy to think if we can't get to a Montessori class we will create a class at home, but it's missing the point. We can use Montessori classrooms to inspire us and to give us ideas but our home environment needs to remain a home, we don't need all the materials or every practical life tray. The Montessori Toddler by Simone Davies. The Joyful Child: Montessori, Global Wisdom for Birth to Three by Susan Mayclin Stephenson. The Absorbent Mind by Maria Montessori. Visit a Montessori Parent-Toddler Class. If you haven't been to a Montessori class before try to visit during a school's open day, perhaps make a special day trip if there isn't a school near you or see if there is one near friends or family next time you visit them. I've visited/observed in a total of seven Parent-Toddler classrooms. Each class I've been in has left me feeling refreshed and inspired. 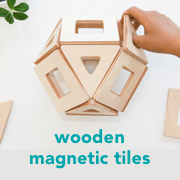 Every time I visit a Montessori classroom I get new ideas for working with my own children. Jacaranda Tree Montessori - Amsterdam. 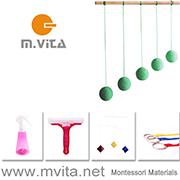 Montessori Mother Early Learning Center - Berlin. Seek out like-minded parents elsewhere. As we don't have a Parent-Toddler class or a Montessori community here I've found other places to connect with like-minded parents. For us it's Forest School, it's not Montessori but I have a lot in common with the other families. Many Montessori parents will find they have a lot in common with Waldorf, RIE or attachment parents. Look for alternative groups or playgroups and share what you have in common. A Peek Inside a Montessori Playgroup - The Gap, Queensland. A Peek Inside a Montessori Parent Child Class! - Brisbane. Today at Montessori Parent-Toddler - Canberra. When observing or reading about Montessori Parent-Toddler classrooms see what appeals to you, what resonates. In one classroom I noted the flow of the snack area, how children seamlessly moved through the area with everything they needed. What stands out in every Parent-Toddler classroom I've been to is the materials. Most of the materials I see in the classrooms are handmade or affordable. Think puzzles, matching activities, posting, threading, sorting activities and lots of practical life. Teachers are often very resourceful and creative and it's what makes each classroom environment special, it's the personal touches. How well do Montessori kids transition to mainstream schooling? Caspar (10 years) and Otis (7 years) started their Montessori schooling in the parent-toddler class when they were eighteen months old. Until February this year, they hadn't even set foot in a mainstream school. This year we moved from Australia to the UK for a two year period for my husband's work. We moved knowing there would be no Montessori school nearby. Of course, I was devastated but I knew the opportunity to live abroad for two years could not be turned down. We took a lot of time finding a new school for them. Six months in and we are reasonably happy with their new school, it's not Montessori but it's the best we could have asked for. So how do Montessori kids cope, how do they manage, how well do they transition to mainstream schooling? Very well. My children have transitioned into mainstream schooling easily, without a problem at all. Montessori schooling teaches more than academics, it teaches life skills, interpersonal skills, it teaches emotional intelligence and critical thinking all which prepare children for life outside of Montessori. It teaches them to deal with change and conflict. Montessori schooling has taught my children to confidently express themselves, to work well in groups as well as individually. Montessori schooling prepares children for life! I believe it would be more difficult for a child to move from mainstream schooling to Montessori. I also believe it depends on the mainstream school the children are transitioning to. Our school here in the UK is independent/private (as were their Montessori schools) and the student-teacher ratio is low. The school is heavily focused on sport which happens to suit our children, and they attend Forest school once a week. If children feel valued, respected, listened to, with like-minded peers, they will thrive in a Montessori or in a mainstream school. If you can't get into a Montessori school or if there isn't one near you, know there are other good schools out there - look for good teachers, look for good school leaders and principals. Too often we in the Montessori community hear or are told about the negatives of mainstream schooling (homework, tests, rigidity) but the reality is, not all schools are like that. I want you to know that Montessori kids can be happy in a mainstream school. If you have a child transitioning from a Montessori school to a mainstream school, my advice is to be prepared. I didn't tell my children a lot about mainstream schooling. My children had a tryout day (taster day) a couple of weeks before they started which was SO important. This gave them the opportunity to ask questions and for me to have time to think about it. I spent a lot of time with the head of school, not only asking questions but making sure they had a good understanding of my children and how they learn best. It was important that they knew my children's Montessori background. Please know that the home environment is most important. Although your children may not go to a Montessori school, they can still grow up in a Montessori home. My children have moved schools a couple of times and the hardest part is always the group dynamics and making new friends, fitting in. For us, the move from Canberra to Brisbane (both Montessori schools in Australia) was much more difficult than the move from Brisbane to the UK (Montessori to mainstream). I have included a few tips and pieces of advice in my previous post Notes to a Montessori parent - when Montessori schooling isn't an option. In 2020 we will head back to Australia. For Otis hopefully, that will mean back into a Montessori school and for Otto a Montessori parent-toddler class. For Caspar, it will mean high school, something I know he is going to be well prepared for.